Unless you’re definitely planning to breed from your dog, you should have them neutered. It’s a straightforward way of preventing unwanted puppies, and it can improve their health too. Makes your dog less prone to conditions like mammary tumours. Makes them less likely to wander in search of females. Helps prevent unwanted pregnancies for female dogs living in your area. Reduces the risk of health problems like testicular cancer. Females are usually neutered either before their first season or three months afterwards. So five to six months is a good time to talk to your vet. 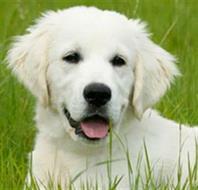 Males can successfully mate from around seven to eight months, so you should speak to your vet when your puppy is six months old. Lots of people are a bit squeamish about the thought of having their pet neutered – and people often say things like “it’s only fair for them to have one litter”. While an operation isn’t a pleasant experience for anyone, your puppy won’t be squeamish in the same way that you are, and having the operation could mean that your dog ends up living longer. So unless you’re an experienced breeder, we’d strongly recommend neutering. You’ll need to take extra care of your puppy in the week after the operation – making sure that their stitches are kept clean and dry. Make sure you ask the vet for after care advice.